Federal authorities are trying to figure out the identity of a 2-year-old boy who was found in the desert, the El Paso Times reports. 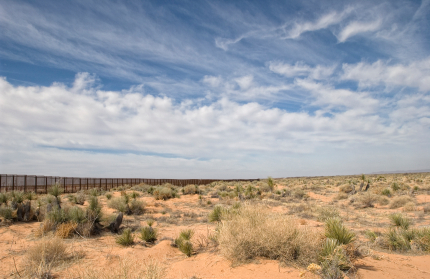 A Border Patrol agent spotted the child and a man between Anapra and the Santa Teresa point of entry in New Mexico. The man fled back to Mexico and left the boy behind. Authorities said the boy appeared to be in good health, the El Paso Times reported. Is Obama Administration Stacking DHS with Pro-Open Border Agents? Posted: 12/9/13 at 9:36 AM under News Story.